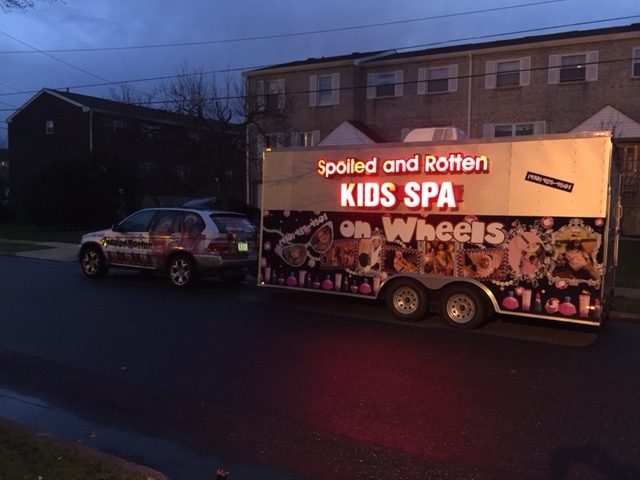 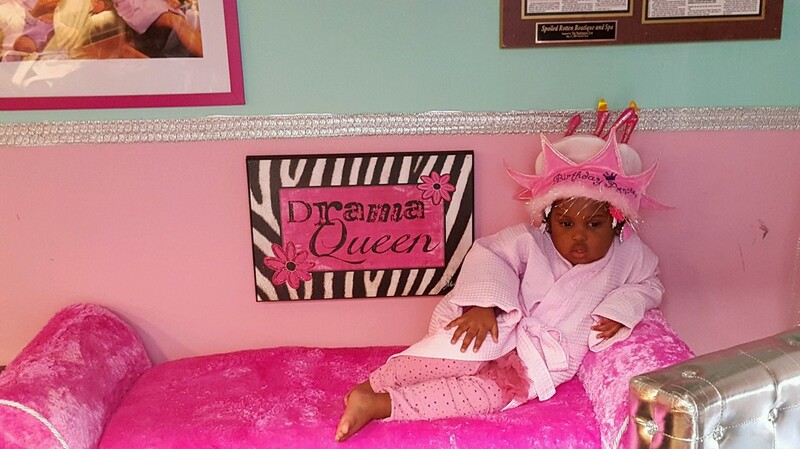 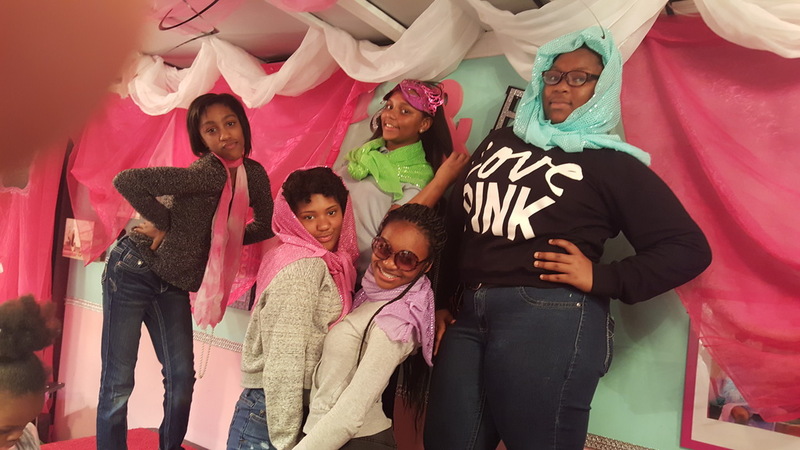 SPOILED ROTTEN KIDS SPA is NOW MOBILE -A Spa PartyBus - DC MD VA & Phila. 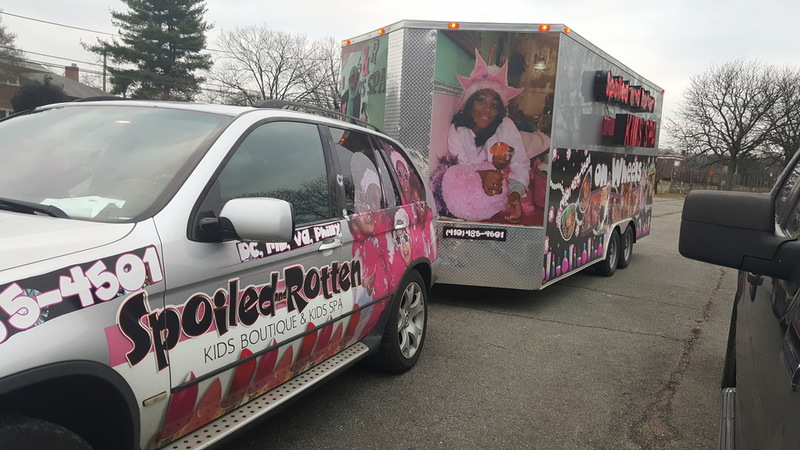 we pull yup to your location, We roll out the red carpet and the fun begins (DC MD VA). 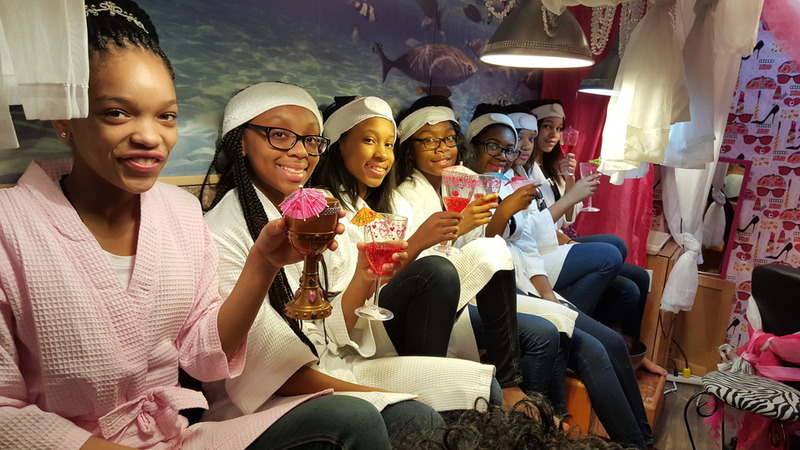 All the girls will receive spa robe & slippers (for use) and receive a shirley temple drink and a sushi (candy) snack all while getting a mani. 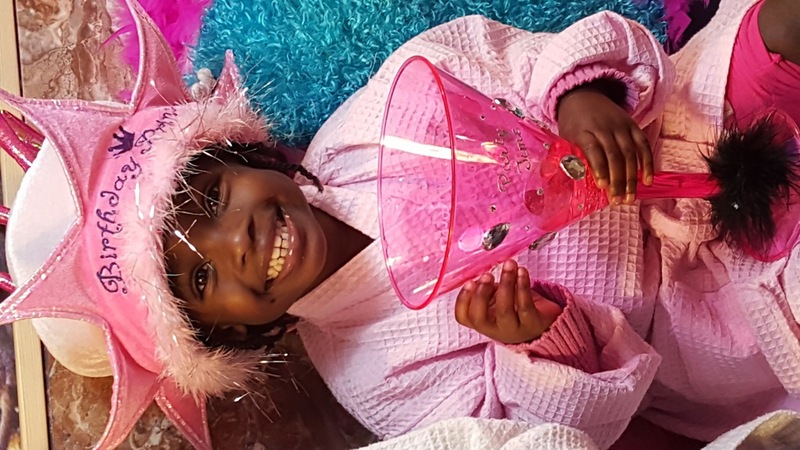 pedi. 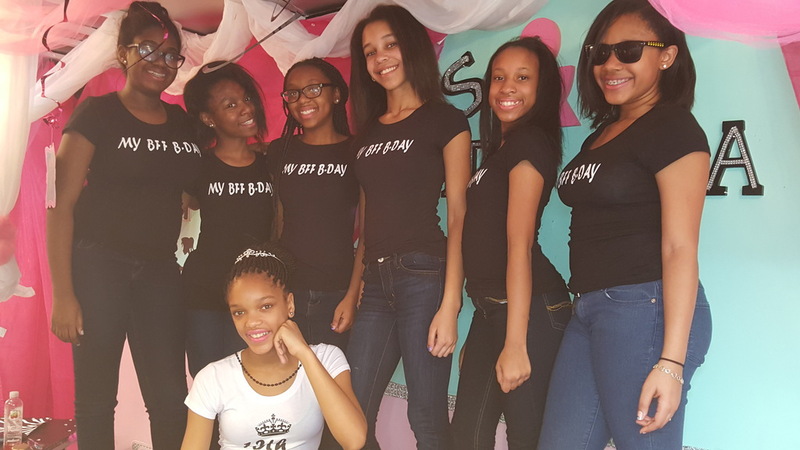 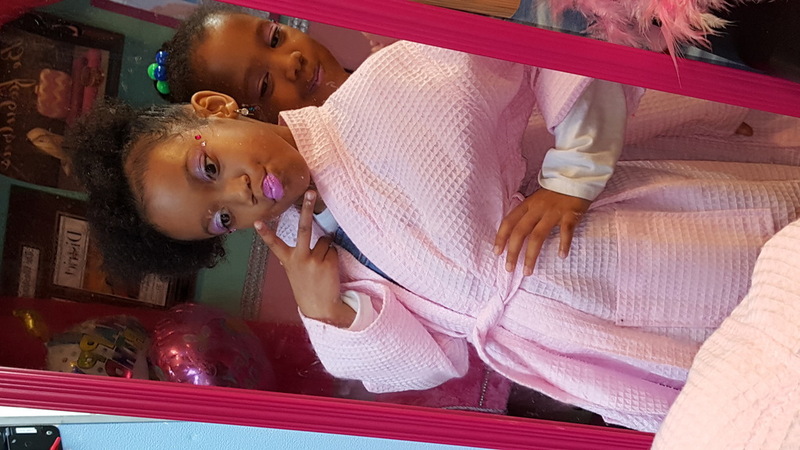 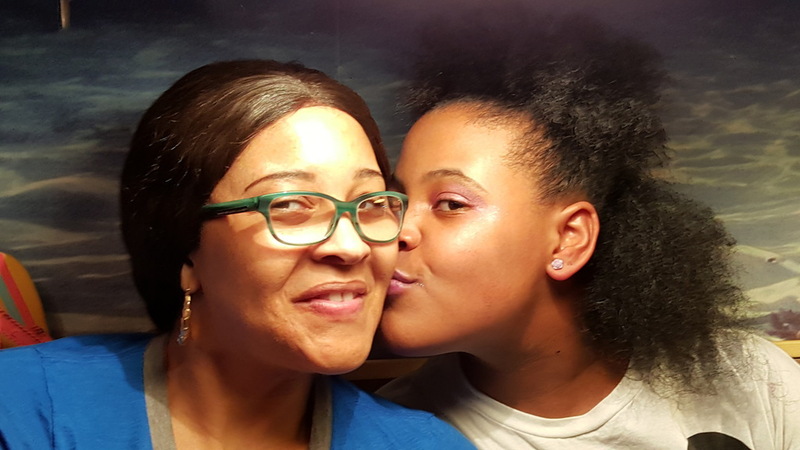 Although thouthe Birthday girl will be the only one to receive nail & feet designs, her guests will receive glitter nail polish and makeup. .
We pull up to your party location, roll out the red carpet, and the fun begins. 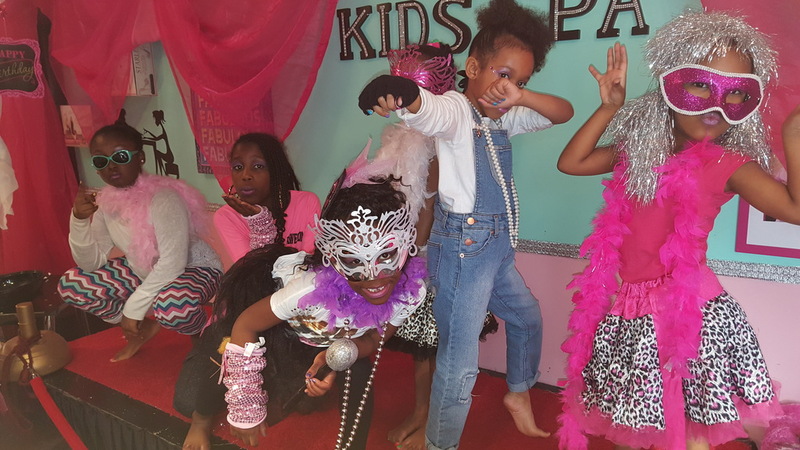 All VIP Kids will mix and mingle. 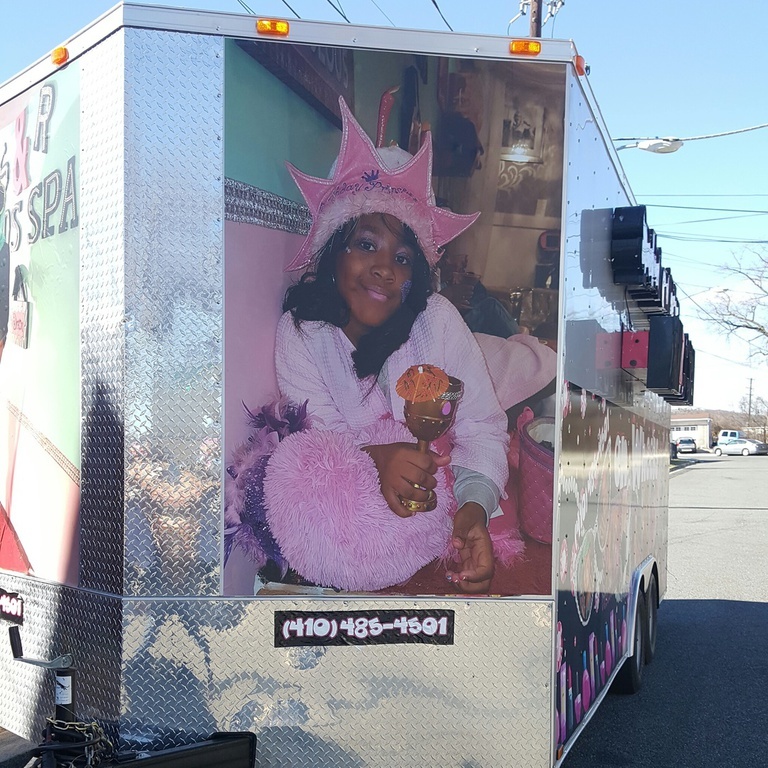 The trailer will be mostly decorated in all white. 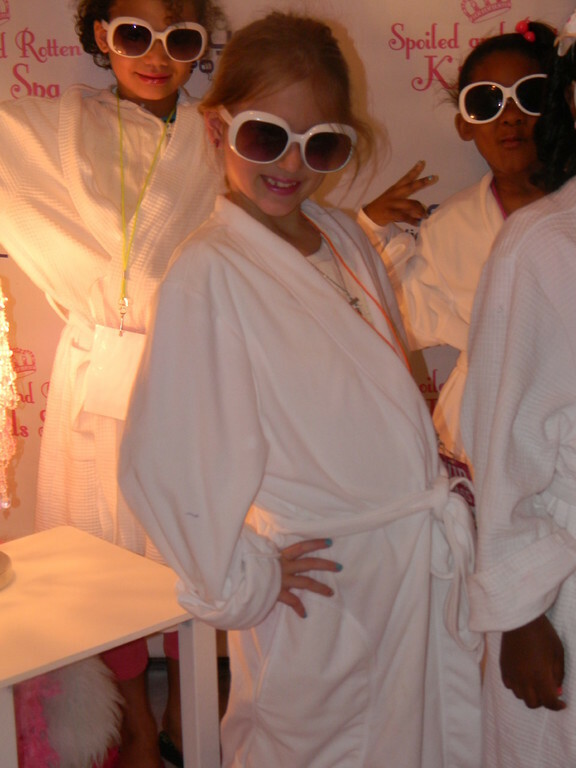 All VIP kids will receive a WHITE TUTU (!with a 10 day reservation) custom printed WHITE VIP badge and WHITE SPA ROBES (use only). 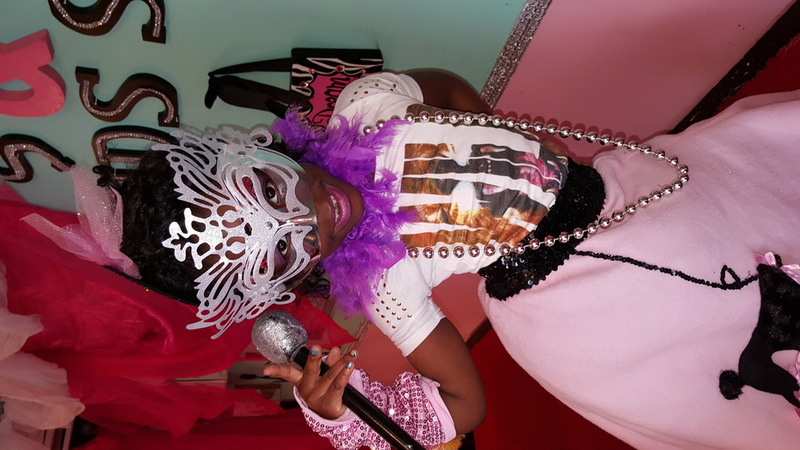 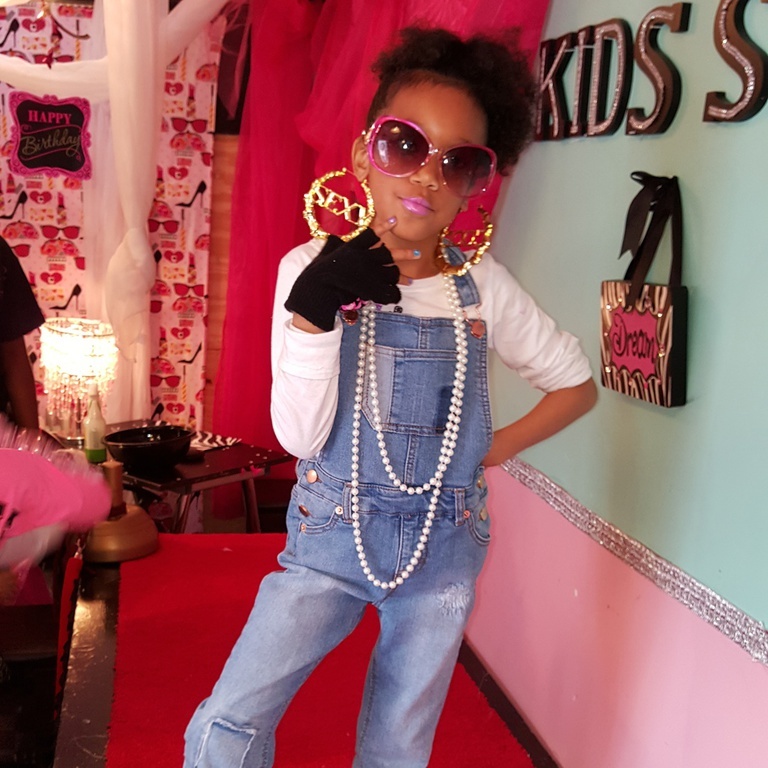 The VIP pkg includes, the satisfaction of mini manicure, pedicure w/ designs on nails & feet, tantrum glam dazzle makeup, glitter tattoo (birthday girl) a mini fashion show where each child will model down the custom built runway with glitz & glamour accessories. 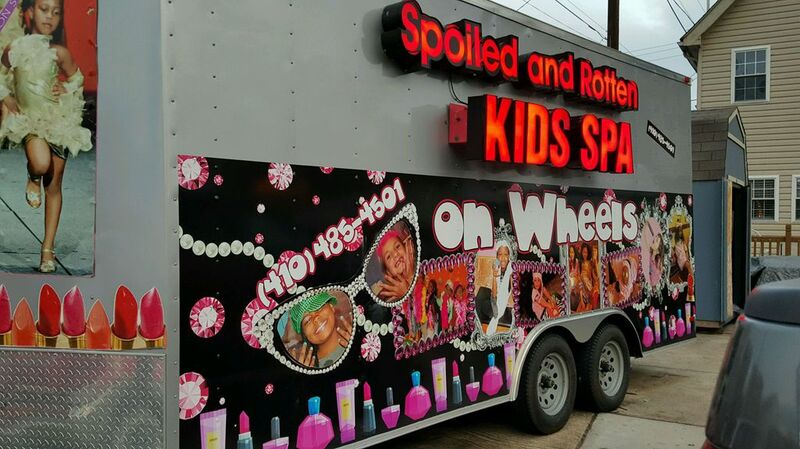 Food will be served on the patio of the trailer (weather permitted) from our All White buffet table that will consist of fruit salad, and cocktail shrimp. 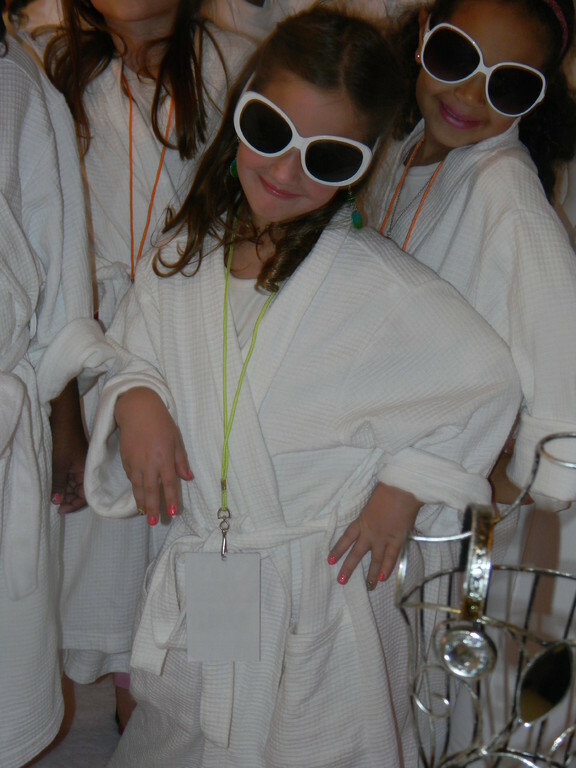 For drinks, the VIP children can sip from the personalized water bottle a little H20 and enjoy a Shirley Temple Drink. 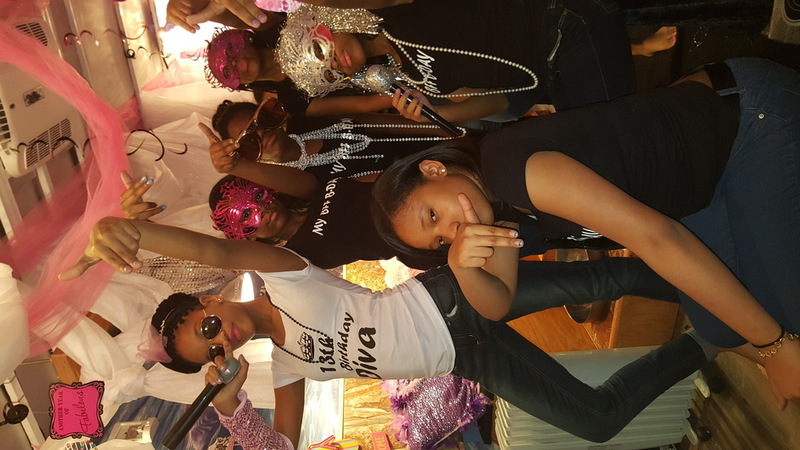 The BIRTHDAY TOAST will consist of Sparkling cider for the children and 1 glass of champagne for the parents. 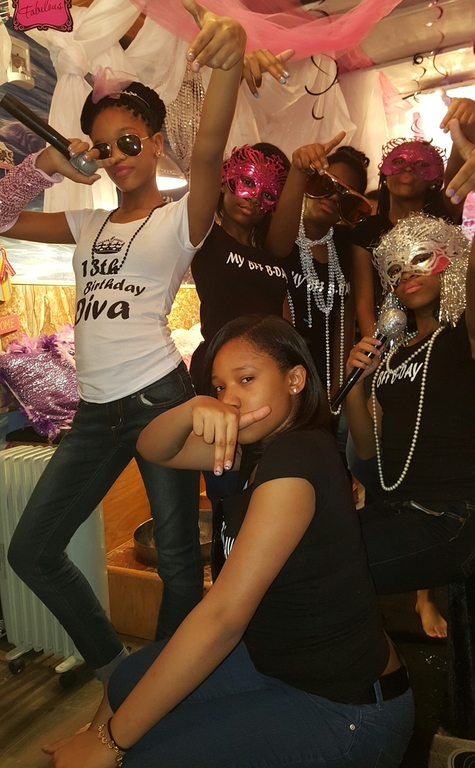 Lastly a VIP party is not a party without pictures* A video camera may be present to capture interviews on the red carpet and special moments throughout the party. 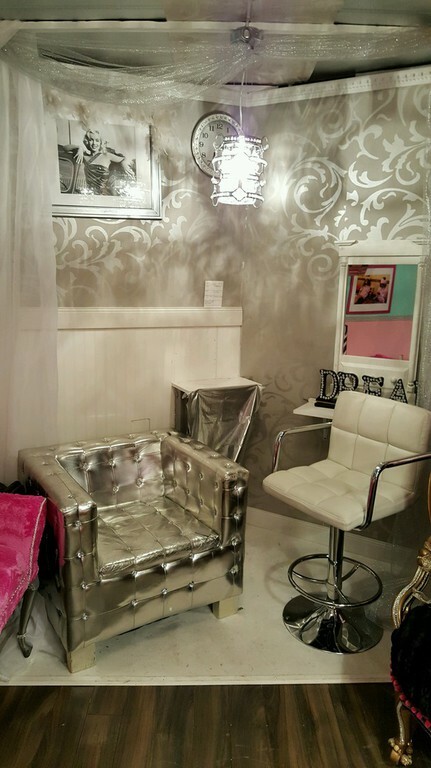 Also glam shots in the Spoiled Rotten Princess Chair to take home for keepsake memories for additional $10. 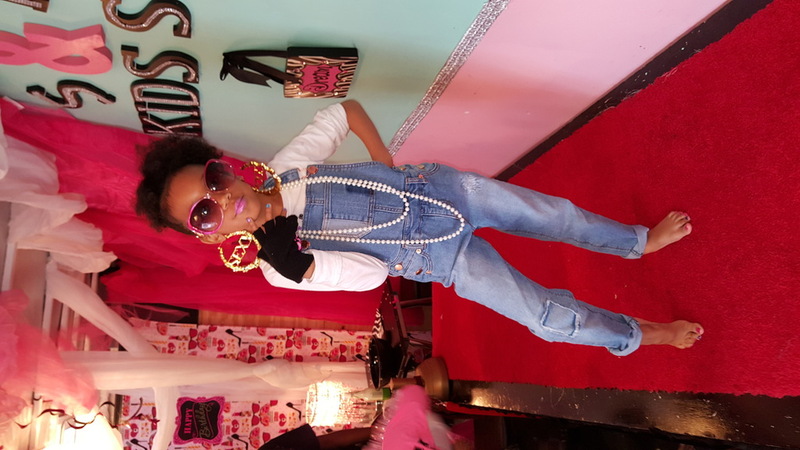 you come to a location Washington DC, we roll out the red carpet, and the fun begins. 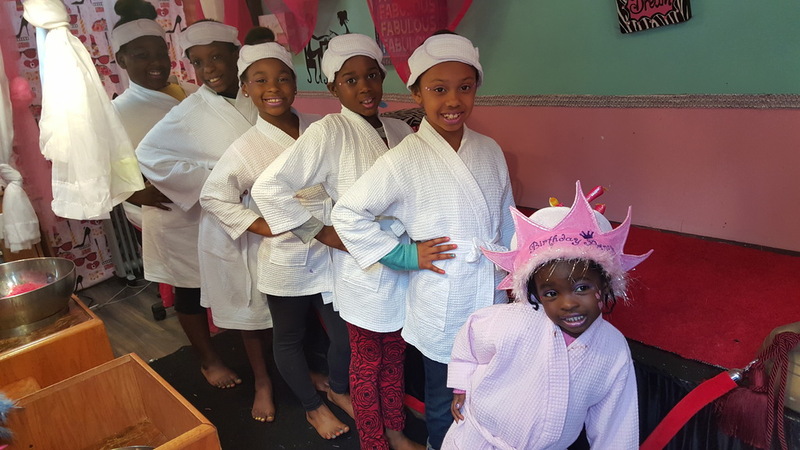 The lil Princesses will enjoy a spa day listening too music while sipping on a Shirley Temple Drink with 2 of her girlfriends. 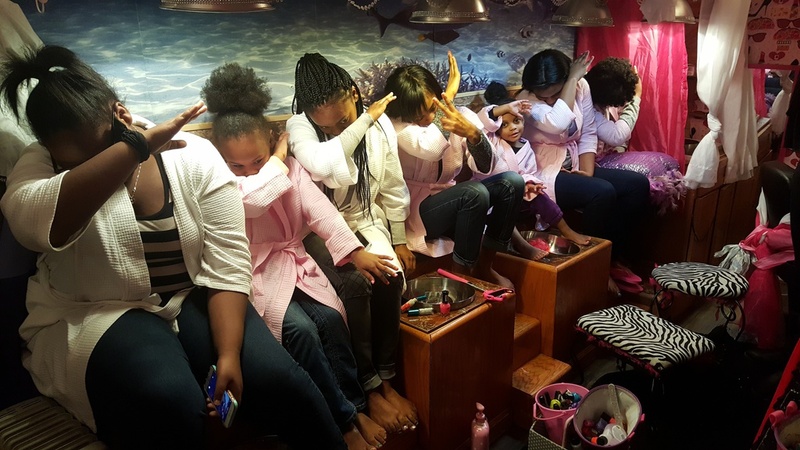 1 nail technician will robe upeveryone , they will all receive Mani/Pedi with Glitter Nail Polish and the guest of honor will receive mani/pedi with nail, feet designs, a glitz of make-up and princess tattoo or facial bling. 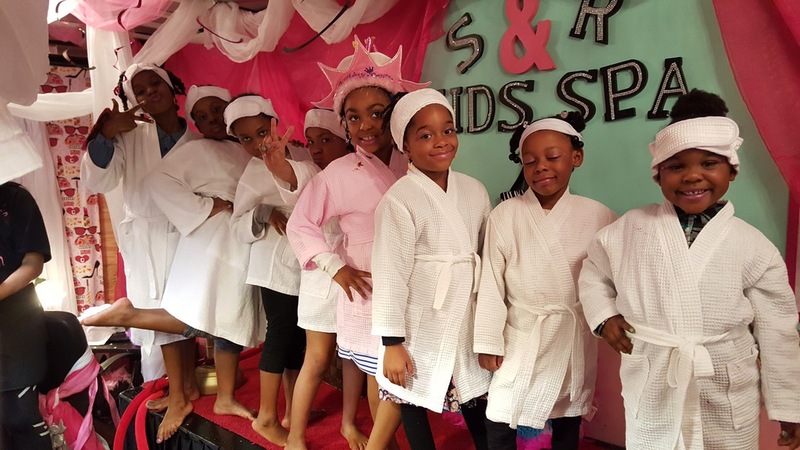 The BEST part of the service with her friends will be the mini fashion show where each child will model down the custom built runway with glitz & glamour accessories. 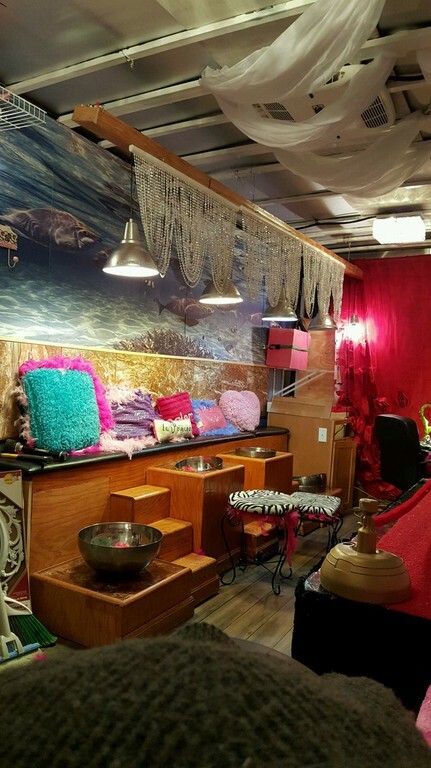 *Any SPECIALS can not be combined with any other offers. 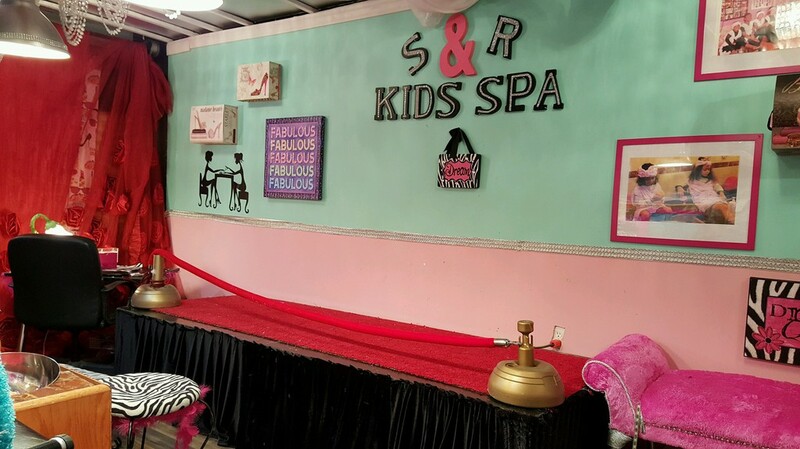 *We will take pictures throughout the entire service and at the end of service you are able to view and purchase for additional $20 to have All Pictures emailed to you..